We create responsive web design — your website will provide a customized viewing experience for the different devices that your site is viewed on. 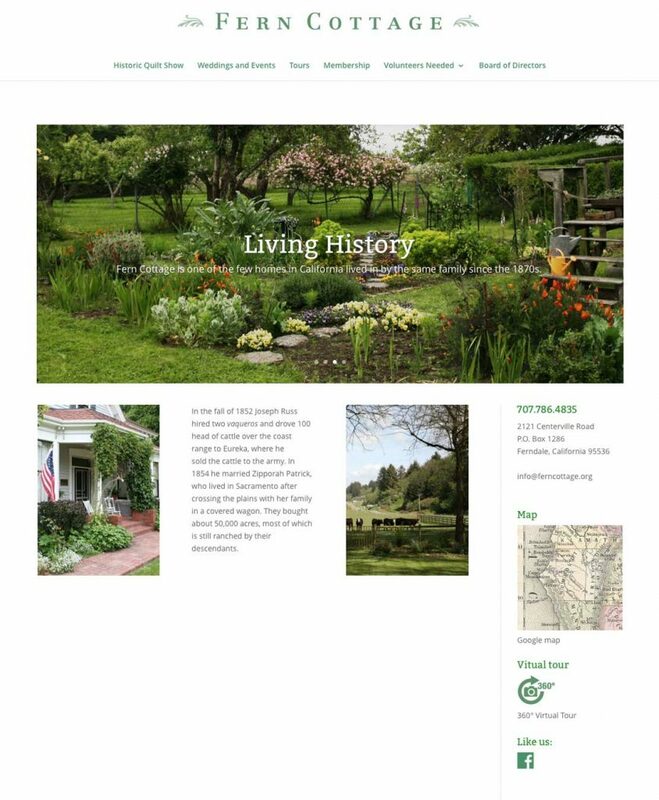 A responsive website will optimize for a laptop, tablet, and smartphone. 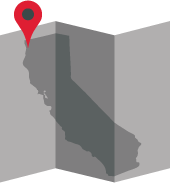 Neighbors Fishing — a site with a signup for surf fishing lessons. 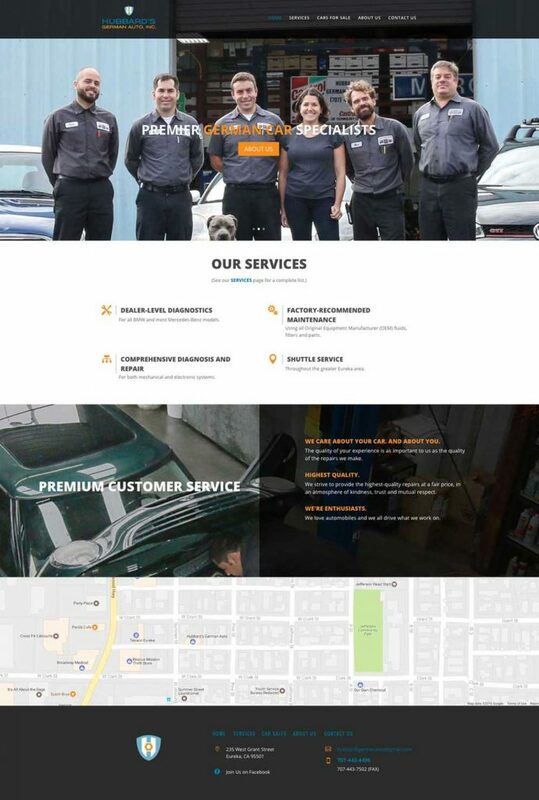 Hubbard’s German Auto wanted a simple, modern look for their website to reflect their clean shop and the meticulous, precision work they do. 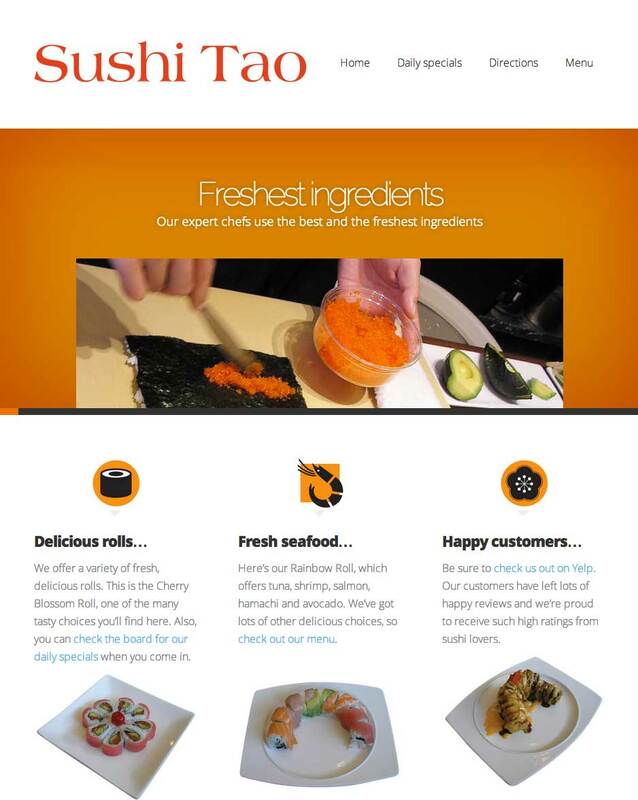 Sushi Tao, near Humboldt State University, needed a responsive site so that students could easily navigate the restaurant’s extensive menu on their smart phones. 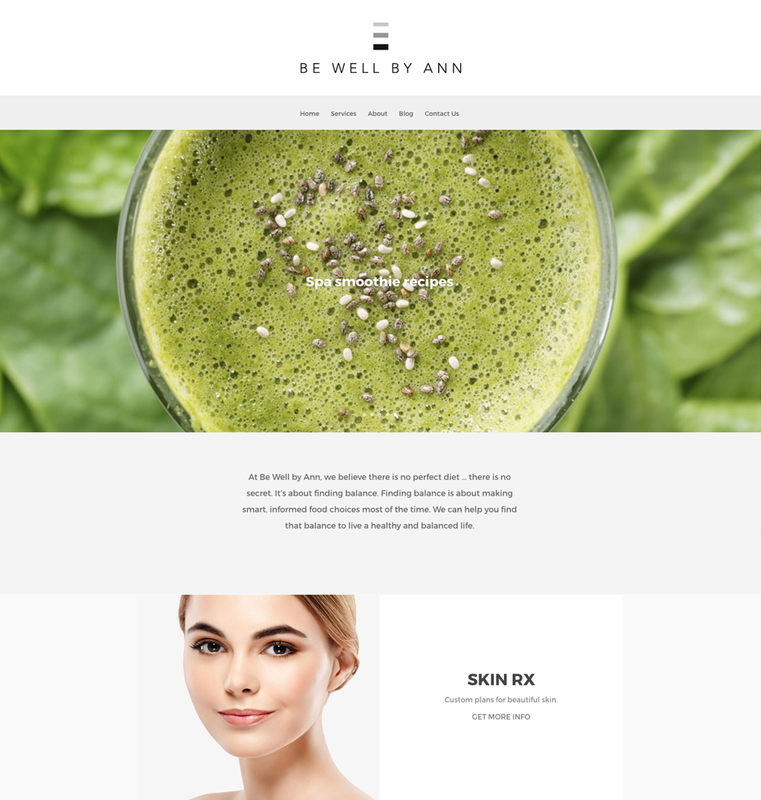 Branding, logo design, and website were the first priorities for Be Well by Ann. 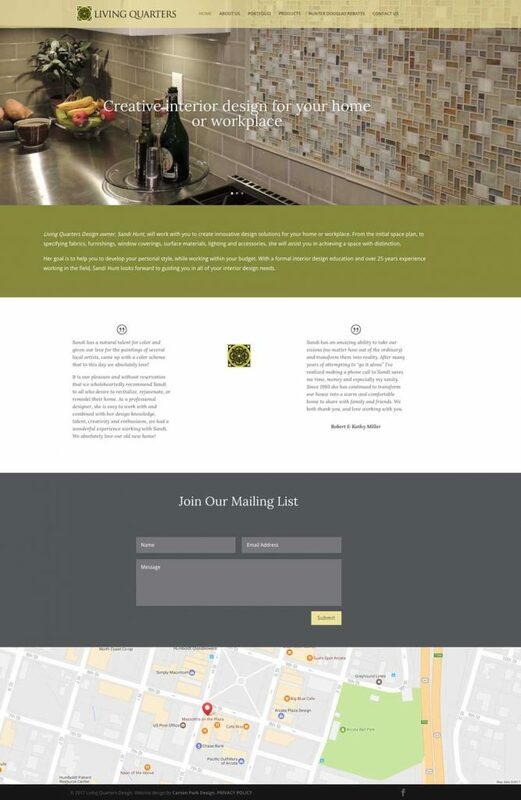 With a clean, modern design, the services Be Well By Ann provides will always be front and center. 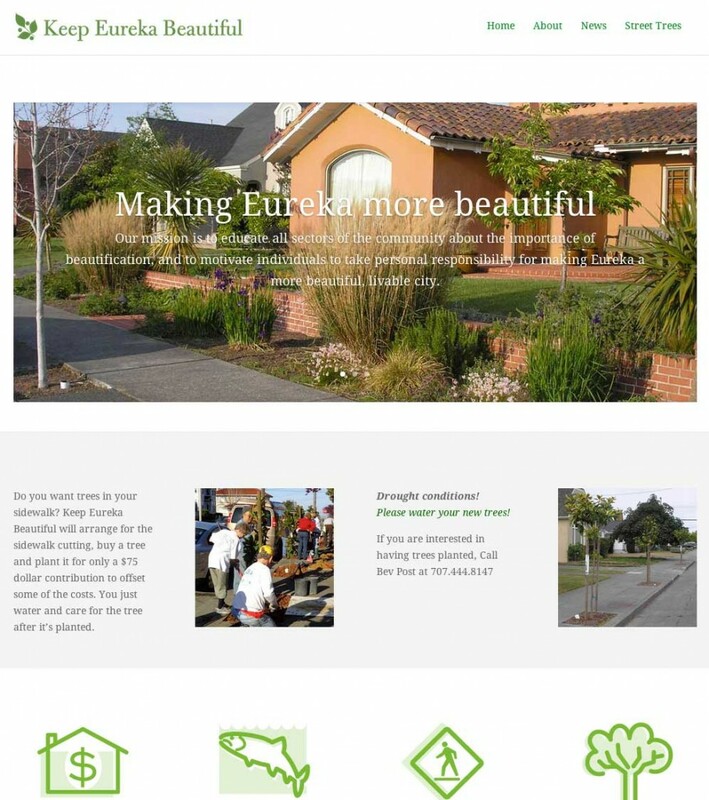 We volunteered to provide a site for Keep Eureka Beautiful, a local nonprofit that plants street trees in residential and commercial areas of Eureka, California. Historic Fern Cottage is near the Victorian village of Ferndale, California is still owned by the descendants of Joseph Russ and his wife Zipporah Patrick. Its beautiful gardens are the perfect place for ceremonies and receptions. 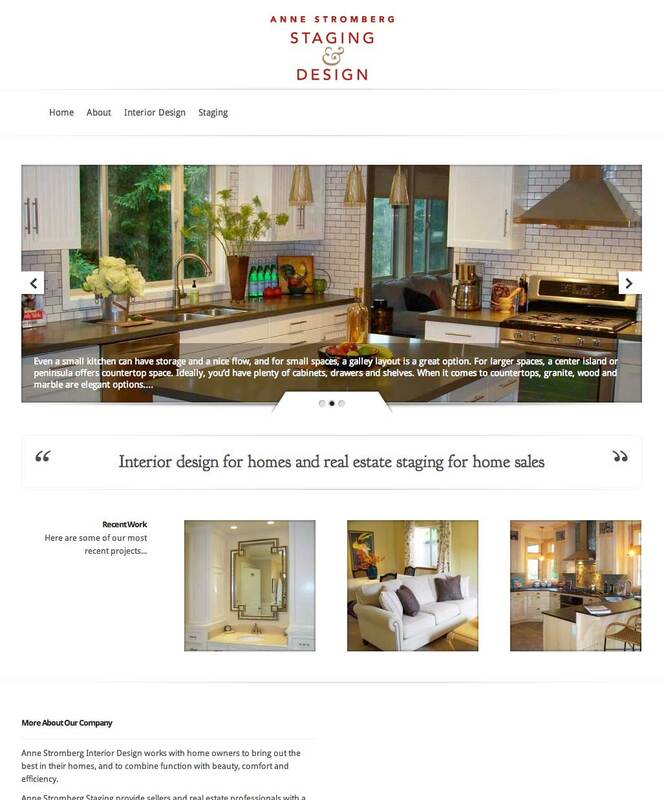 Living Quarters is an interior design business in Arcata, California that designs with and specifies fabrics, furnishings, window coverings, surface materials, lighting and accessories.